Kevin Paredes/Photo Editor Mika Itkin-Weinstein, a junior double-majoring in English and history, is the disc jockey for “The Good Planetarium,” which aired every Sunday night during the fall semester on WHRW. 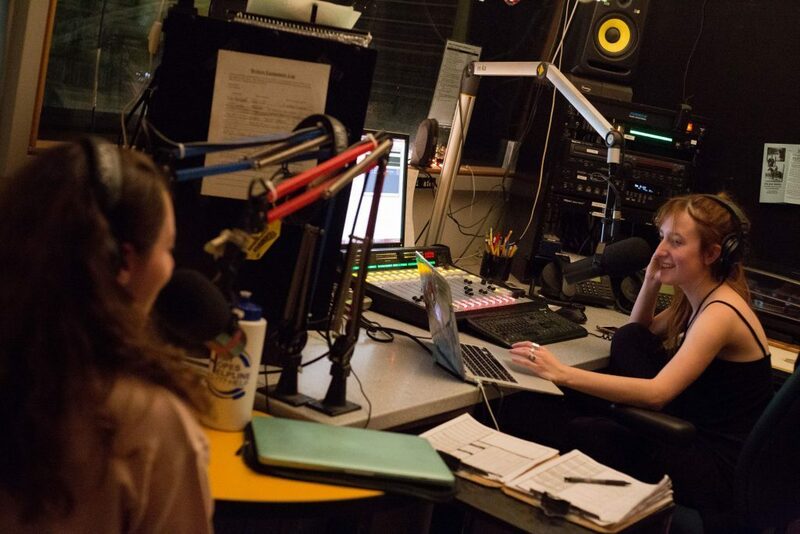 WHRW, Binghamton University’s campus radio station, will continue online streaming officially and “for good.” The decision was announced on Feb. 7 in an email from Jeffrey Goldberg, general manager for WHRW and a senior majoring in geography, to the station body. Members of the station voted in a poll distributed via email, and then station board members used those results to inform the ultimate decision, according to Goldberg’s email. “85% of respondents who voted in the referendum have voted for the stream to continue, and following those results, the WHRW board has voted unanimously to adopt the new rules officially and continue the live stream for good,” Goldberg wrote. WHRW’s streaming challenges began in October, when the station was contacted by SoundExchange, a nonprofit organization that works to collect and allocate royalties for sound recording copyright owners. As a result, the station’s board suspended streaming. As of Jan. 1, the station had resumed streaming on a probationary basis, with a plan to ask members to vote on permanent streaming. Many members feared that the new rules associated with streaming would dampen the free-format nature the station is known for. The major change to the station’s broadcasting, however, is designed to prevent that and to keep DJs in control. DJs will be required to track the songs they play on a song tracker, which Goldberg wrote is still under development. He also wrote that the station will continue to investigate ways to broadcast albums or shows that currently violate copyright rules.